Whether it's for Valentine's Day or you simply want to send a note to someone in a unique way, a secret message inside of a seemingly untouched raw egg is the perfect way to go. Simply poke holes on both ends of the raw egg (make sure to make a bigger hole on the wider end) and carefully blow out the yolk from the pointy end into a bowl. 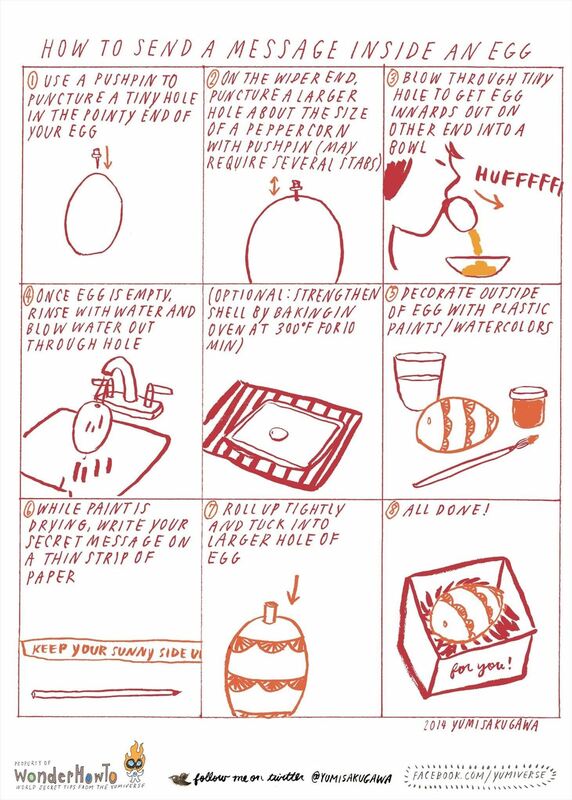 Wash out the eggshell delicately (make sure you don't crack it! ), then decorate with paints or watercolors. While the paint is drying, write a message on a thin piece of paper, roll it up, and tuck it into the bigger hole. Place the egg inside a box and give to someone as a gift. You can also add paper shredding to the box to make it look like it's resting on a nest.